Looking to earn extra cash online. 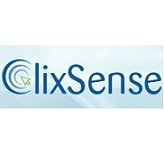 ClixSense is one of the best Get Paid To (GPT) site for Indians. You can earn money online in India without investment from Home. To withdraw money you must have a minimum of $10 in your clixsense account. Withdraw money using Payoneer, Skrill, Payza and Tango Card. Users can keep track of your account status at the click of a button by downloading the ClixAddon and get instantly notified of new Cash offers, Surveys and CrowdFlower Tasks as they become available. First of all, Register at the website here. A validation link will be sent to your email address. You must click this link to activate your account. Complete your Profile Details and Payment Details through “Profile and Settings”. Select your Payment method. Complete other details and Click on “Update Account”. Now Start Earning from Clixsense by doing surveys, Offers and Tasks etc. Earn a minimum of $10 to claim your money. It is an online advertising program where members can get paid for their web browsing. Users are paid for trying new products and services, taking paid surveys, downloading apps, doing crowdflower tasks, signing up for websites, watching videos and more. The income you earn is paid directly to you every month once it reaches the threshold level. The best part about the ClixSense program is that it is free to register your new account and begin earning money immediately. It provides browser addon with instant notification of new paid surveys and tasks. Payments are made via Payoneer, Skrill, Payza and Tango Card. Refer others and multiply your earnings. It offers one of the most lucrative affiliate programs online. =>Like India Get Free Stuff on Facebook to know about more online money making methods from time to time.